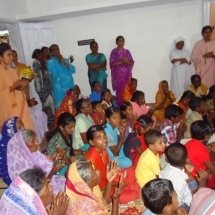 The seed of Baptistine Mission was planted at Morena, Madhya Pradesh on June 25th 2011 by Sr. Mary Antony and the Provincial Council as Most Rev. Bishop Joseph Kaithathara, the Bishop of Gwalior invited our Congregation to Gwalior diocese. Sisters received a grand welcome from the Bishop, Fathers, Sisters, School personnel and parishioners. 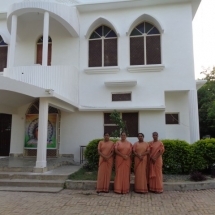 The community of 4 sisters began to live in the newly blessed house, which was a presbytery till then. It is a double story building. 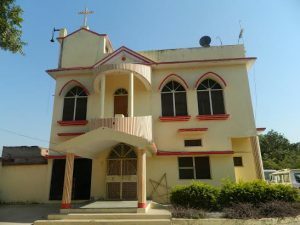 The ground floor is used for the sisters’ residence and the first floor is set apart for the local Parish Church. 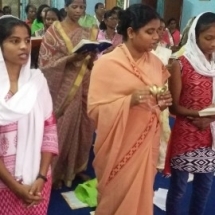 Under the animation of Sr. Brigit Mylaparambil, Sr. Alfonsa John, Sr. Animma Vanthiyil and Sr. Arockia Sharmila started their fruitful mission here. 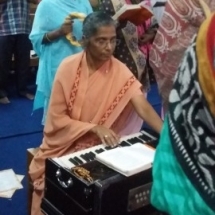 The sisters are teaching in the diocesan School, helping in the administration and taking care of the Pastoral Ministry. 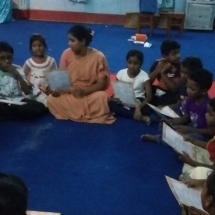 It is one of the most challenging mission of Indian Province, yet we always feel the assistance of Blessed Mother Mary and our Beloved Founder. Thanks be to God!